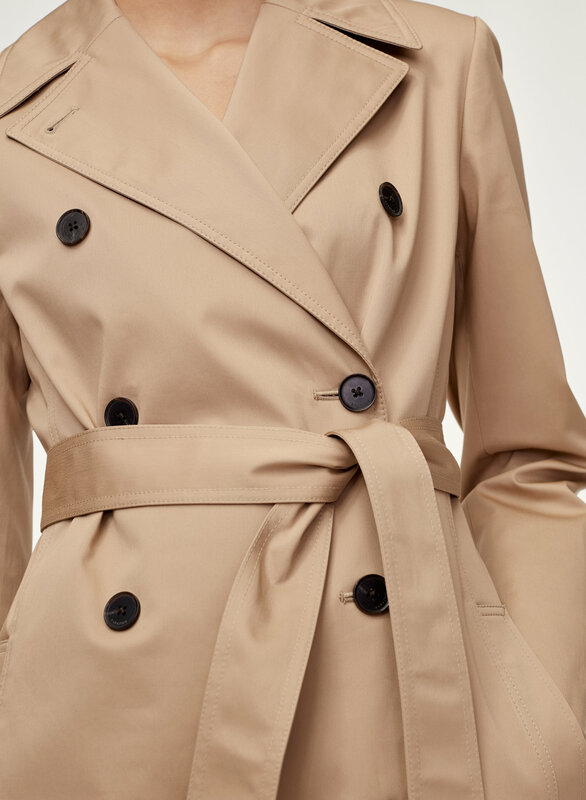 Styled with arjun knit top and lebna pant . 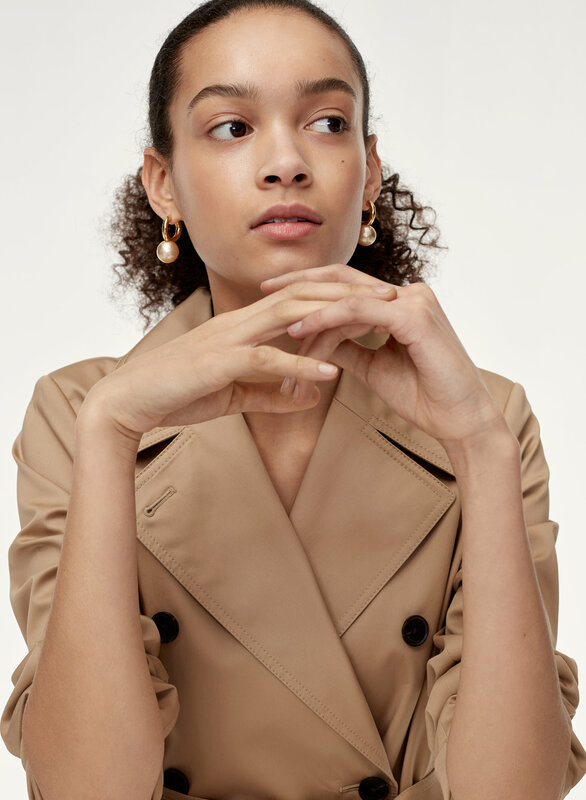 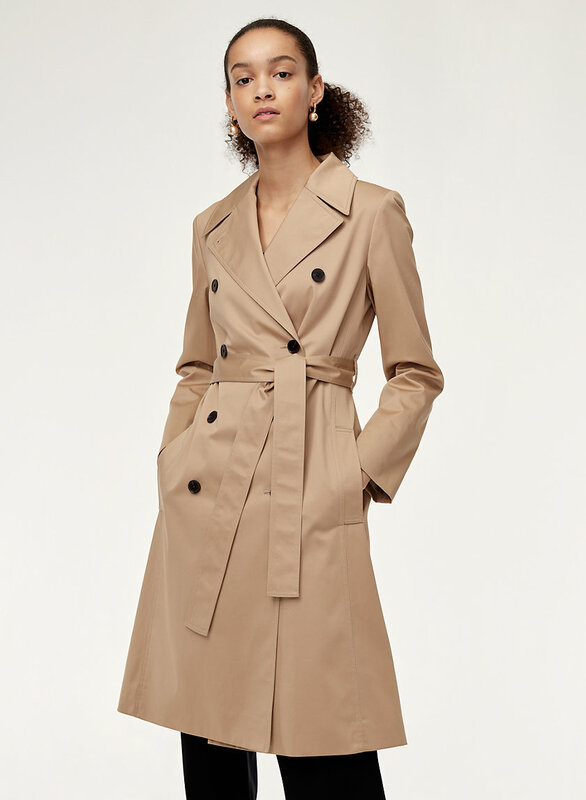 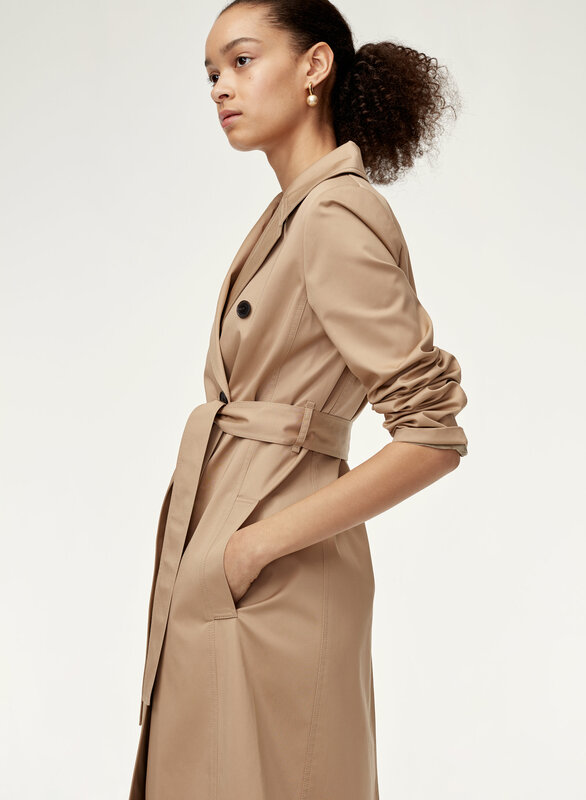 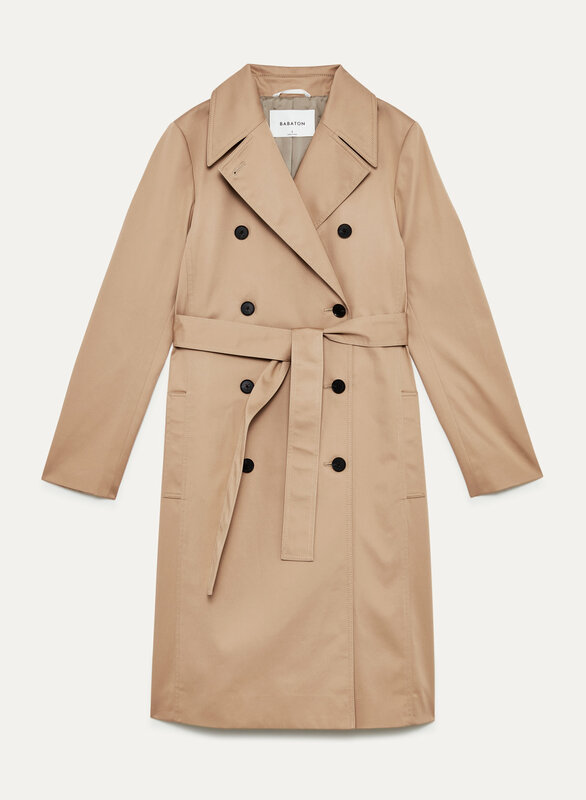 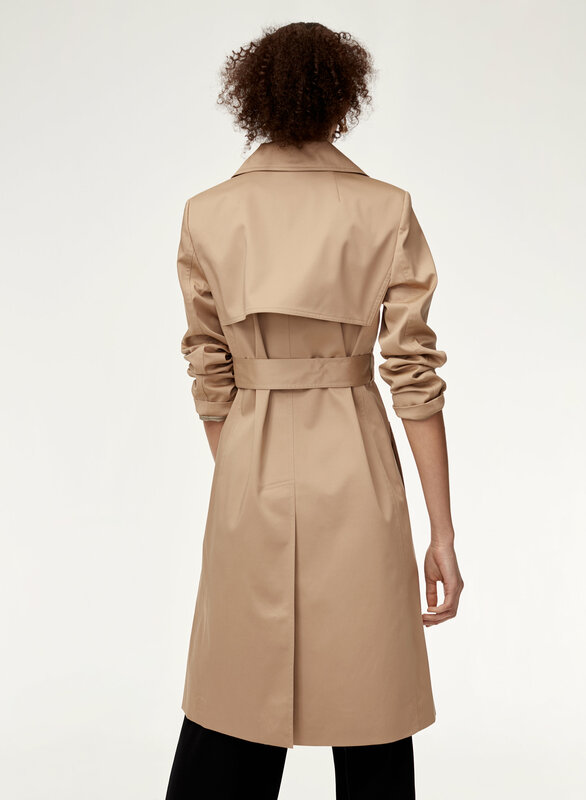 Babaton's signature trench is cut from water-repellent gabardine from one of Japan's most innovative mills. 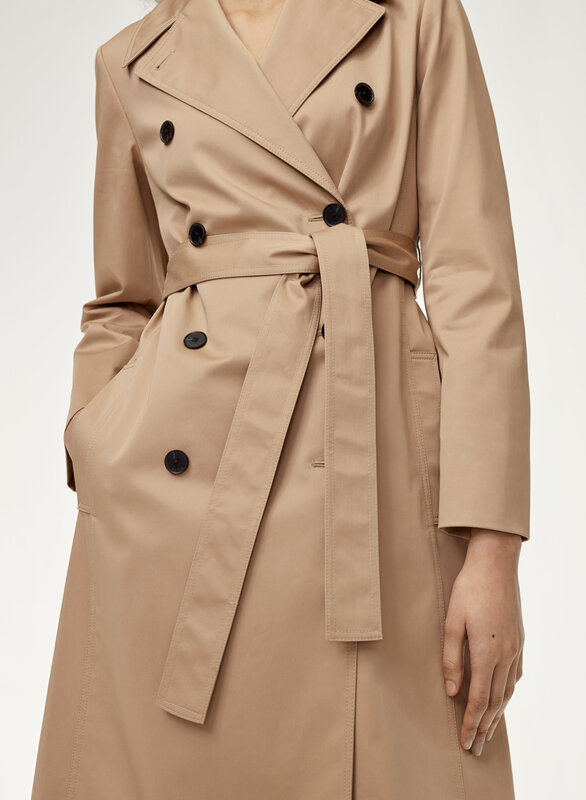 Meticulous tailoring is set off by traditional details — horn buttons, leather accents and storm flaps.